The Arsenal have been through their fair share of ups and downs in recent times and have had some sensational highs and some heart-breaking lows since Patrick Vieira held their last trophy aloft. Much has been said about the ineptitude in the transfer market and the media have often bashed Arsenal while praising others in worse positions. 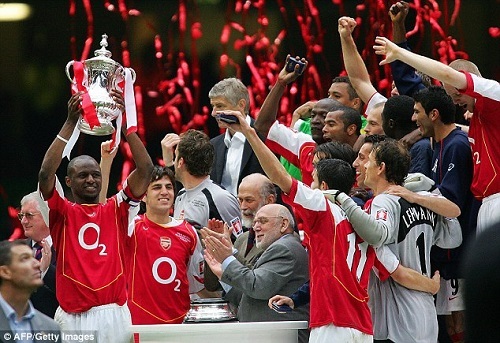 As such it has become a daily reminder that Arsenal have endured 9 agonising season without a trophy. In that time they narrowly missed the Premier League after the mental collapse from the Eduardo da Silva leg-break, they lost the Champions League after Jens Lehmann’s red card, they last the Carling Cup to Chelsea after an exceptionally angry outburst from Adebayor and of course lost the Carling Cup to Birmingham City after a misunderstanding between Koscielny and Szczesny. In short, its been a very tough time for Gooners. On Saturday Arsenal get the chance to break the drought, to break the hurt and win the clubs first piece of silverware since moving to the state-of-the-art Emirates Stadium. And when your team is trying to do something they haven’t done in nearly a decade, its best to watch with a horde of like-minded Gooners. Arsenal South Africa, the official arm of the Supporters club in Mzansi, has agreed and have put together a day that will hopefully be as memorable as Gary Bailey dropping the cross that gave Arsenal the 1979 FA Cup Final. The guys have also gone out of their way to make sure that there is more than just a get together there. Everyone is encouraged to wear red, the colour the team will be wearing in the final, or to don themselves in whatever replica kit they have. To bring scarves, flags and paraphernalia and to learn all sorts of songs that would remind Tottenham of the massive shadow in which they live. I also have it confirmed that there will be a shirt raffled off that is signed by a previous Arsenal legend.